Rising acceptance for hemp and CBD – combined with easing regulations at the state level – caused U.S. hemp production to surge in 2017. From 2016 to 2017, the number of acres licensed for hemp cultivation in the top 10 hemp-growing states grew by 140% – while the number of hemp producers doubled over the same one-year period. It’s still very early for the U.S. hemp industry. Full-fledged hemp cultivation remains illegal at the federal level – the crop cannot be grown in a state that has not established a hemp program – and questions remain about the legality of hemp-based extracts like CBD. Many hemp farmers are still figuring out optimal growing practices, and it’s unclear how much demand exists for products made from U.S.-grown hemp. Hemp-derived CBD, however, is soaring in popularity. Cannabis research firm Brightfield Group estimates that the U.S. market for the product hit $291 million in 2017 and will swell to $1.65 billion by 2021 – a nearly sixfold increase. The many uses for industrial hemp and its byproducts has prompted more traditional farmers to embrace hemp as a way to hedge against lower-value crops like cotton or alfalfa. And some states have shown a willingness to support the fledgling industry, allowing more growers into hemp programs and relaxing acreage limits across the board. 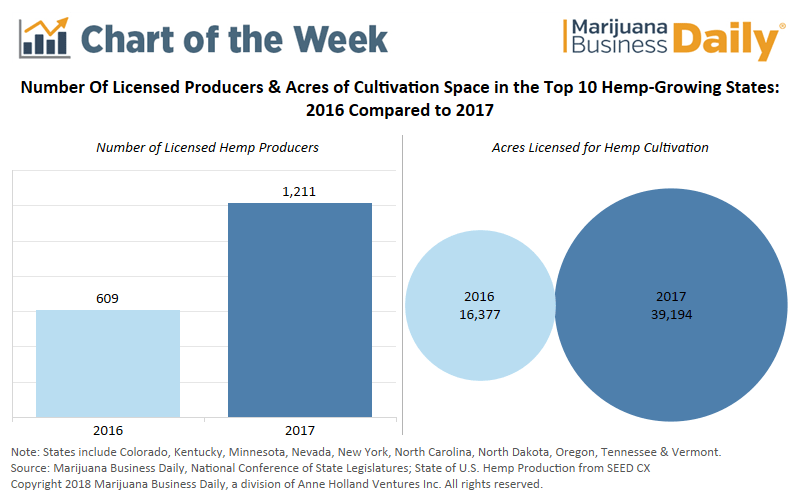 The number of hemp producers in Oregon, Tennessee, and Vermont more than tripled in 2017, while Minnesota, New York and North Dakota saw growth of 533%, 425% and 600%, respectively. Of the top 10 hemp-growing states, Kentucky and Colorado accounted for 81% of total acres registered for hemp production in 2016. Though both significantly expanded their hemp programs in 2017, they now account for only 64% of total acres registered for hemp production. Excluding Colorado and Kentucky, the average number of acres licensed for hemp production was 374 in 2016; in 2017, average hemp production acres stood at 1,787 – a 377% increase. 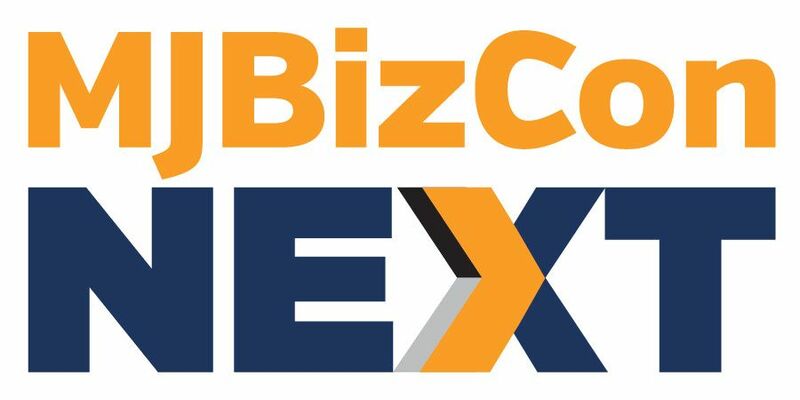 Despite all the uncertainty surrounding the U.S. hemp market, entrepreneurs and policymakers are pushing ahead – clearly bullish about the industry’s future. There’s still the old boys network that doesn’t want to allow hemp full reign and replace the outdated materials that dominate the building, textile, and automotive industries. Once you get past them it’s gonna be pretty smooth transition. And so much better for the environment. Check out the real hemp situation by googling CRS HEMP 2017 – The US Congressional REPORT ON THE HEMP INDUSTRY. Does anyone on your staff know the total cost to apply for a State of Florida Medical Cannabis Grow Facility? I heard that cost could run into the millions of dollars just to start? Well looking at the stats, more and more states will legalize the marijuana in the coming future and hopefully, it will soon ease the marijuana growing law on large scale. You crow over a surge in HEMP PRODUCTION in 2017? WORLDWIDE hemp production in 2017 was less than 500,000 acres. I’m interested in investing in Hemp. Are there growers that sell stock ? I’m in HEMP, but don’t know of others that specialize in hemp.